Despite a few extra pieces of hardware strapped to the outside, little about the tractor-trailer barreling down Interstate 25 in Colorado on a mostly sunny morning last October would draw attention. Well, except for the statement along the trailer: Proudly brewed. Self-driven. 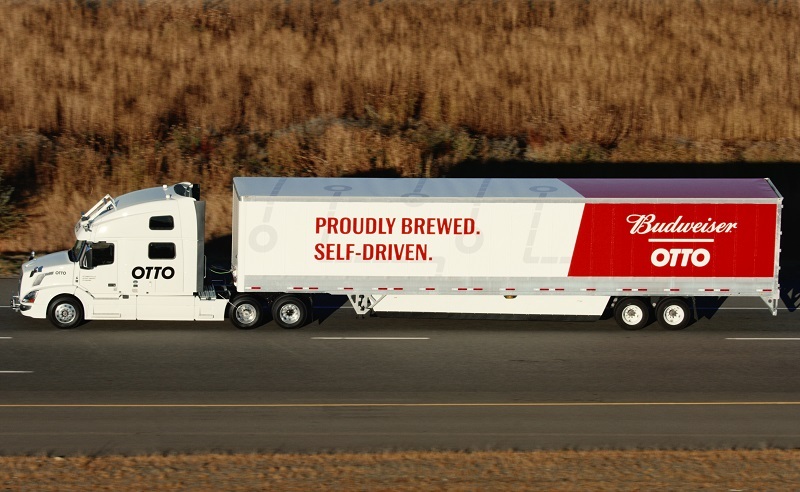 Budweiser partnered with Otto, a transportation company owned by Uber, to deliver a trailer of lager from its brewery in Fort Collins to the city of Colorado Springs, a distance of about 135 miles. For the majority of the trip, a computer kept the truck moving on the road. The vision of self-driving vehicles has long been the stuff of dreams. For James Sembrot, who leads Anheuser-Busch InBev’s logistic strategy group, it’s a reality that can happen in our lifetime. It’s a technology that not only benefits beer, but also all shippers. “We travel 450 million miles each year delivering product from breweries to our wholesalers,” Sembrot says. 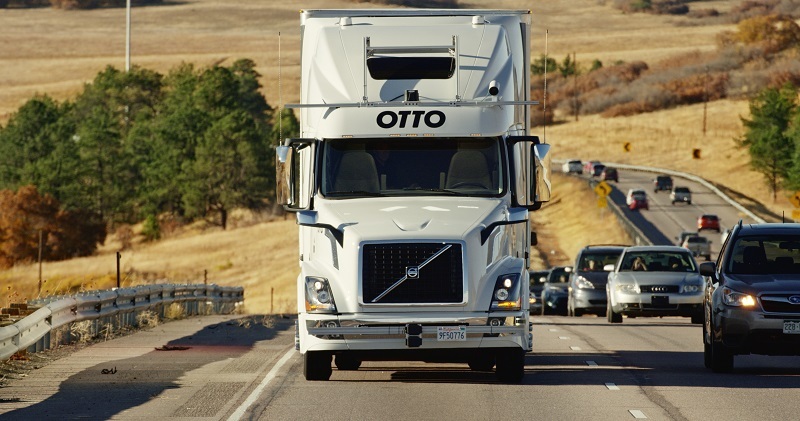 “We are one of the largest shippers, so this makes sense.” He cites reduced driver fatigue, meaning fewer accidents. There will still be a need for a human inside trucks. This technology is best for long stretches of highway where there are few variables on the road to contend with. A human in the driver seat will be needed for navigating cities and populated areas and, of course, to deliver the beer. Well, at least for now. Editor’s Note: This story is part of a special section on the future of beer, which appears in the March 2017 issue of All About Beer Magazine. Awesome! I love it. I know in the future, vehicles will all be self-driven. I cant wait…..I am thinking the vehicles will go as fast as the system will allow them. I believe this will be faster than we go now.